Viral images purport to show an unbelievably large snake found and killed in the Red Sea by a team of Egyptian scientists and divers. It is blamed for the deaths of 320 tourists. Amazing Giant Snake Found in the Red Sea that killed 320 tourists and 125 Egyptian divers, has been killed by a professional team of elite Egyptian scientists and qualified divers. Names of the scientists who participated in the process of catching the huge snake were: D. Karim Mohammed, d. Mohammed Sharif, d. Mr. Sea, d. Mahmoud students, d. Mazen Al-Rashidi. And the names of the divers who participated in the process of catching the huge snake were: Ahmed leader, Abdullah Karim, fisherman Knight, Wael Mohammed, Mohammed Haridi, spears Alvajuma, Mahmoud Shafik, a full-Sharif. The Snake body has been transferred to in the Egypt morgue at Sharm El Sheikh international animal. You're no doubt wondering if the snake in these photos is real. It is. As a matter of fact, it's the only thing in these photos that's real. Everything else you see — the vehicles, the heavy machinery, the soldier standing next to the "giant" snake — is a child's toy or scale model. Which means that the "giant" snake is, at most, two or three feet long. Scary! If the photos were real, this snake would be much, much larger than any known species that ever existed. We would have to estimate the size of the snake at around 70 feet long — more than twice the length of any known species that now exists. The largest anaconda ever measured was about 28 feet long and 44 inches around. The largest known python measured 33 feet in length. The fossilized vertebrae of a prehistoric snake known as Titanoboa cerrejonensis indicate a maximum length of 40 to 50 feet, but the species has been extinct for some 60 million years. As to the claim in the Arabic version of the story that the snake was captured by divers in the Red Sea, there are two obvious objections: 1) the snake pictured in the photos isn't a sea snake, and 2) in any case, scientists say there are no snakes of any kind in the Red Sea due to its extreme salinity. The low-resolution composite image above began showing up on Persian- and Arabic-language websites in mid-2012, accompanied by the contradictory claims that the "giant" snake had recently been killed either: 1) near the Karaj Dam in northern Iran, or 2) in the Red Sea off the coast of Egypt. Neither claim is true, obviously. 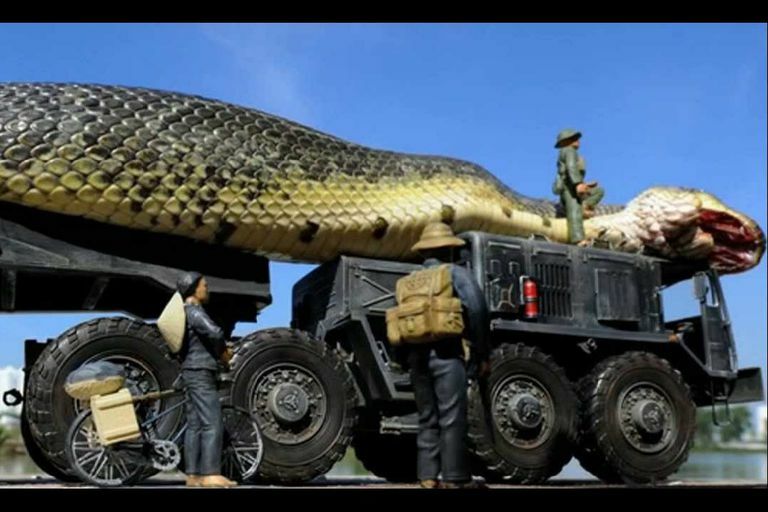 Moreover, the images actually date back to May 2010 and were originally published in a forum frequented by Vietnamese IT students under the title "Vietnam Army Captured Giant Snake." If you have any doubt that the photos were staged using toy soldiers and plastic models, have a look at the high-resolution version. Update: Another scam is circulating in the form of social media blurbs promoting a video entitled "Giant Python Caught in the Red Sea." Don't fall for it! Hoax challenge: See if you can spot the fakes in viral photos. 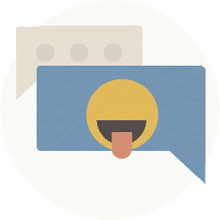 Is the Georgian Speekle a Real Animal?